Review of Religions: September 2001 31 Questioner: Is Islam the only way to please God? Hadhrat Mirza Tahir Ahmad: No, not according to the Holy Qur’an. According to many verses of the Holy Qur’an, Islam is not the only way to please God. The followers of all previous religions took a path towards pleasing God and they made efforts to please God, one after the other, until the time of Islam. The followers of Jesus Christ( a s ), for instance, made efforts to please God. It is wrong, therefore, to claim that only the followers of Islam can please God. All religions do this and this is the purpose of religion. However, according to Islam, at the advent of the Holy Prophet(sa) who was the last law-bearing Prophet on earth, prophecy began to take another shape. This was in the sense that whosoever believed in the Holy Prophet of Islam ( s a ) and acted according to his traditions, he would be closer to God –(that is, the path of Islam takes one closer to God) than (did the paths followed by) the previous people. This is the main d i fference between Islamic belief and non-Islamic belief. Questioner: Is there a difference between the soul of man and the soul of woman? 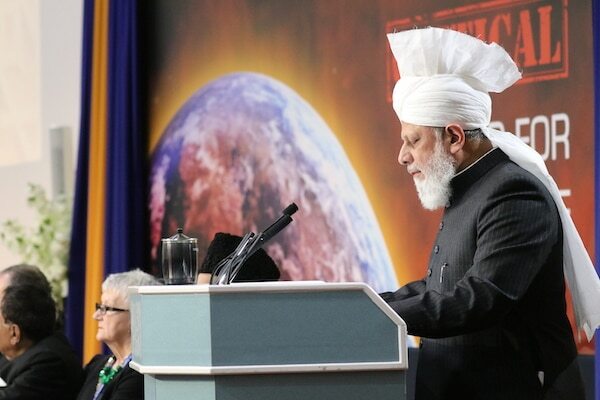 Hadhrat Mirza Tahir Ahmad: According to the Holy Qur’an, there is no difference between the soul of man and the soul of woman and both can enter heaven (and be there) together. The soul has no gender – its constitution is non-sexual. T h e physical constitution of men and women is, of course, different, both externally and internally. Questioner: Is it not possible that God may be a female, a goddess? 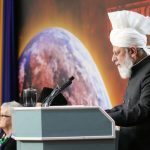 Hadhrat Mirza Tahir Ahmad: As far as the gender is concerned, I Islamic Perspective Hadhrat Mirza TahirAhmad, the Fourth Head of the Ahmadiyya Movement in Islam, from time to time offers to people of all nationalities, faiths and beliefs the opportunity of raising questions and issues that are of interest to them. Presented below are answers to questions that were raised in a session held in Mannheim, Germany on 25 August 2001. Compiled by Amatul Hadi Ahmad Islamic Perspective Review of Religions: September 200132 have already stated that the soul has no gender and so Allah has no g e n d e r. He is one being and He is not divided between a female God and a male God. Questioner: How can you be so sure that Allah is the only God? Hadhrat Mirza Tahir Ahmad: I invite your attention to the realm of nature. In the whole universe, according to an argument given by the Holy Qur’an, there is to be found only one ‘nature’. The laws of nature are in accordance with each other and they never clash. Had there been two Gods, there should have been two systems of natural laws which would have clashed with each other. The argument presented by the Holy Qur’an is this that if one looks at nature, that is the system of natural laws, one would be surprised to find that in the entire universe there is only one system of laws of nature in operation. Having observed this, even Einstein was compelled to state that the symmetry in nature was so perfect that there had to be a Creator. Every law of nature is in accordance with other laws and they never clash – hence the universe cannot be considered to be a chaotic thing that came into being automatically of its own accord. There has to be a Creator who has created the universe in accordance with natural laws created by Him and no one else. 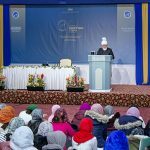 Questioner: Does the evil that exists in creation, in the world and in man, have an e ffect on Hazur? What are the possibilities for man to overcome these evils and thus acquire a more wholesome mind? Hadhrat Mirza Tahir Ahmad: According to Islam every child is born on the pattern of A l l a h ’s creation by which is meant that every child is born good and that no child is born bad. It is later on, in the child’s life that its parents or the social environment in which it is being brought up, turn the child into a good person or a bad person. Fundamentally every child that is born is good. Evil intervenes later when the child grows older. It is either the evil of his parents that turns him to evil or the evil of his friends who are evil-minded or the evil of the environment that ultimately turns him into evil. Man should, therefore, be happy that he is born free of evil and that if he Review of Religions: September 2001 Islamic Perspective 33 happens to follow evil, he does so against his own conscience. The proof that man is born with a wholesome soul lies in the conscience. Whenever one takes a false step, the first false step immediately reminds a person that he is doing wrong. Daily a person makes many decisions and he knows when he is making the wrong decision and he knows when he is taking the right decision. Hence the conscience is proof that Allah has created man fully aware of evil and good and in every case when he has to make a decision, his personal inner judgement decides in favour of good and not in favour of evil. Questioner: How did you come to know that you had been chosen by Allah as the Khalifa? Hadhrat Mirza Tahir Ahmad: [ Within the A h m a d i y y a Community] the system of election of a Caliph or a Khalifa is through an Electoral College. The fact is that as long as the Khalifa of the Ahmadiyya Community lives, the Electoral College, that has been previously constituted, becomes dormant and has nothing to do. The Electoral College has no authority to interfere with the work of the Khalifa or with the orders of the Khalifa. Every member of the Electoral College is under the Khalifa and they follow his orders. However, the moment a Khalifa dies the Electoral College comes to life and follows the set procedures for electing a new Khalifa. The same happened in my case. 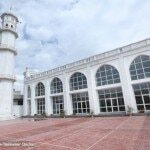 When the previous Khalifa died, the Electoral College assembled in the Mubarak Mosque in Rabwah and there they elected the new Khalifa. It so happened that of all the members of the Electoral College a very great majority were in my favour. [During the process of election] it is not permitted to make speeches of high praises in proposing a person – all that is required is for a member of the Electoral College to stand up and put a name forward and for another to stand up and second that. This was the situation in my case also and after the votes were counted, the majority, a very large majority, went in my favour and hence I was elected the Khalifa. It was not a question of my believing or thinking myself to be a Khalifa. There was no question of Islamic Perspective Review of Religions: September 200134 my personal interest or my personal belief in my own greatness (God forbid). 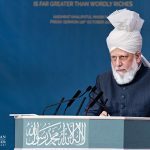 I am a very humble person of God but when I was elected, I took over the responsibility of the Khalifa, that is the Khalifa of the Ahmadiyya Community of the whole world. [The interpreter here added that the questioner wants to know if Hazur thought about becoming a Caliph before the event?] Hadhrat Mirza Tahir Ahmad: No, never – I could never think such a thing. It would be extremely stupid to think that one should be a Caliph because it is a great burden – an unbelievably great burden – and only a fool could offer himself to be a Caliph. Questioner: Do you pray for people whom you do not know personally? 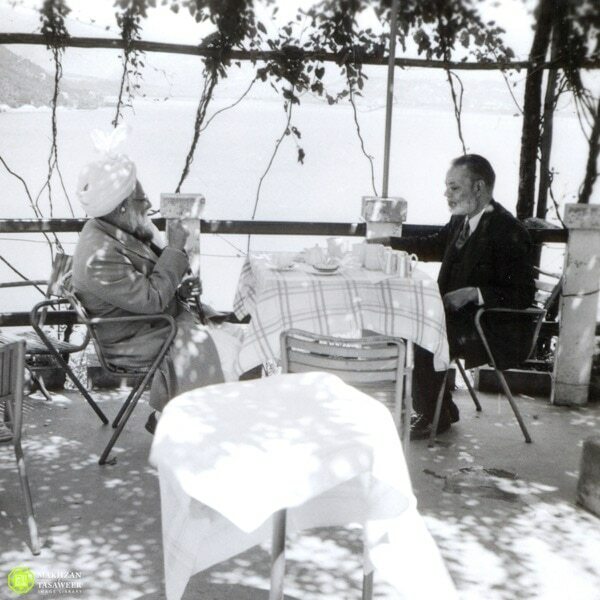 Hadhrat Mirza Tahir Ahmad: Yes, of course I do. It is a regular feature of my prayer that I pray for people in different sections. First of all I pray for those whom I know and they are related to me. I, then, pray for those who are not related to me but I know them and they know me. Ultimately I pray for all the human beings who may be in any distress or difficulty with the result that my prayers cover all the people of the world and there is no selfish end in my prayers. 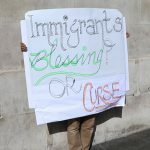 Questioner: Why are there human beings? Hadhrat Mirza Tahir Ahmad: The answer is very simple. According to the Holy Qur ’ a n , human beings are created to judge for themselves and decide between evil and good. Angels are created such that they only follow good and they have not been given a choice in this matter. For angels, therefore, there is no question of trial. They are created to believe and act only in accordance with A l l a h ’s will but human beings have been granted both possibilities – they have a choice between following evil and following good. That is why they are rewarded for goodness and punished for their bad acts. The purpose of creation of human beings is that they may discern between good and evil and be tried and tested through trials so that those who are steadfast and become good are duly rewarded and those who fail in their trials are put to punishment.